It is also worth noting that canker sores tend to be more common in teens, young adults and women. http://oralsurgerydc.com/wp-content/uploads/2019/03/unnamed-1.png 0 0 Miko Nkungula http://oralsurgerydc.com/wp-content/uploads/2019/03/unnamed-1.png Miko Nkungula2018-02-23 14:44:092018-09-22 14:47:39How Safe Are Dental X-Rays? What’s worse than going to the dentist? Taking your kids to the dentist—especially to find that they’ve got multiple cavities before they’re in kindergarten. The New York Times reports that a rise in the number of preschool cavities has led to a rise in the number of preschoolers requiring extensive dental work (often necessitating general anesthesia). Um, I guess not going to the dentist is actually worse than going. While the number of preschool cavities is rising, dentists say that such tooth decay (and its painful treatment) is mostly preventable. Constant snacking, too much juice or other sugary beverages, drinking bottled water instead of fluoridated tap water and simply not knowing that kids so young should see a dentist are behind many of these cavities. We checked in with Lawrence Limb, DMD, a pediatric dentist in New York City, to get his take on whether this is as serious and widespread a problem as it seemed after reading the Times’ report (hint: it is) and his suggestions for how parents can help prevent tooth decay in the littlest of kids. In babies, Dr. Limb said that parents can usually get away with wiping the gums prior to the eruption of teeth to reduce the amount of bacteria on the gum pad. “As the teeth erupt (around six months), start introducing a toothbrush after each feeding,” he suggests. The American Academy of Pediatric Dentistry (AAPD) recommends using a “smear” of fluoridated toothpaste and a soft, age-appropriately sized toothbrush until age 2, and then a “pea-size” amount for kids ages 2 to 5. And while brushing after each feeding might be ideal for dental hygiene (albeit a lofty goal) while babies are at home, he acknowledges that for those in daycare or young children at school, brushing a minimum of twice a day should suffice. So, think you’ve got it covered because you brush your children’s teeth twice daily? How ‘bout flossing? “Flossing is as important as brushing,” says Dr. Limb. “It’s not easy to do as a parent, but it’s necessary,” especially between the back molars, which kids will need for chewing until 10 to 12 years of age, and which are at the highest risk of developing dental caries (cavities). And no need to wait until all of your child’s teeth are in to make the first visit to a dentist. The AAPD recommends seeing a pediatric dentist once the first tooth emerges, or no later than the child’s first birthday. Surprised? I was too—especially since my kids’ pediatrician hadn’t recommended making that first trip until age 2 (which in all honesty seemed really early to me even then). But, Dr. Limb explains that that first trip is important in terms of helping to establish not just proper oral hygiene but also getting parents to be more mindful of their children’s diet and nutrition and their impact on dental health. Following that first visit, Dr. Limb and the AAPD recommend check-ups every six months. Not concerned about potential cavities because your child’s teeth look fine and he seems happy? Dr. Limb explains that cavities are often found in the back teeth (which are tough for parents to see well) and adds that many kids never experience any kind of oral pain unless there is a significant amount of decay—so don’t assume that your kid’s teeth are healthy just because he hasn’t complained to say anything is hurting. Additionally, dentists can find and treat cavities at a very early stage, using local anesthesia and a DVD for distraction, instead of the heavier duty sedation required for long, multiple procedures. Has your child had any cavities yet? And because the sensor and phosphor plates are more sensitive to X-rays than film is, the radiation dose is significantly reduced. Digital X-rays also help endodontists — dentists who specialize in root canals— to see if they have performed the procedure properly. Traditionally, dentists use an instrument they call the “explorer” to find cavities. That’s the instrument they poke around with in your mouthduring a checkup. When it “sticks” in a tooth, they look closer to see if they find decay. Many dentists are now switching to the diode laser, a higher-tech option for detecting and removing cavities. The laser can be used to determine if there is decay in the tooth. The dentist can then choose to watch the tooth, comparing the levels at the next visit, or advise that the cavity be removed and the tooth filled. The diode laser doesn’t always work with teeth that already have fillings, but for other teeth, it could mean earlier detection of cavities. 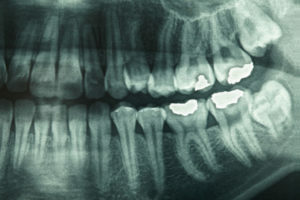 Note also that the diode laser does not replace X-rays; it detects decay in grooves on the chewing surface, while bitewing X-rays can find decay between and inside teeth. The CAD in this technology stands for “computer-assisted design,” and the CAM for “computer-assisted manufacture.” Together, they translate into fewer dental visits to complete procedures such as crowns and bridges. Traditionally when a patient needs a crown, a dentist must make a moldof the tooth and fashion a temporary crown, then wait for the dental laboratory to make a permanent one. With CAD/CAM technology, the tooth is drilled to prepare it for the crown and a picture is taken with a computer. This image is then relayed to a machine that makes the crown right in the office. Veneers are the thin, custom-made shells or moldings that are used to cover the front of crooked or otherwise unattractive teeth. New materials now make it possible to create even thinner veneers that are just as strong. What’s the advantage for you? Preparing a tooth for a veneer – which involves reshaping the tooth to allow for the added thickness of the veneer — can be minimal with the thinner veneers. Less of the tooth surface must be reduced and more of the natural tooth is kept intact. If you’ve chipped a tooth, you can have it fixed to look more natural than it would have in the past, thanks to improvements in bonding material and bonding techniques. Today’s bonding material is a resin (plastic), which is shinier and longer lasting than the substance used in the past. Often, dentists will put layers of resin on a tooth to bond and repair it. Because of the wider range of shades available, they can better blend the bonding material to the tooth’s natural color. In restorations, when a cavity needs to be filled, many dentists have also abandoned amalgams for “tooth-colored” composite or porcelain fillings, which look more natural. Implants to replace lost teeth are now more common than in years past. First, a titanium implant or screw-like device is inserted to serve as a replacement root, fusing with the jawbone and protruding above the gum line. An abutment covers the protruding part and a crown is placed over that. In the past, implants often failed. Now, the typical life of an implant is about 15 years or longer. About 95% of implants today are successful, according to the American Academy of Oral and Maxillofacial Surgeons. When the supporting tissue and bone around your teeth doesn’t fit snugly, “pockets” form in the gums. Bacteria then invade these pockets, increasing bone destruction and tooth loss. A variety of treatments can help reverse the damage. They range from cleaning the root surfaces to remove plaque and tartar to more extreme measures such as gum surgery to reduce the pockets. 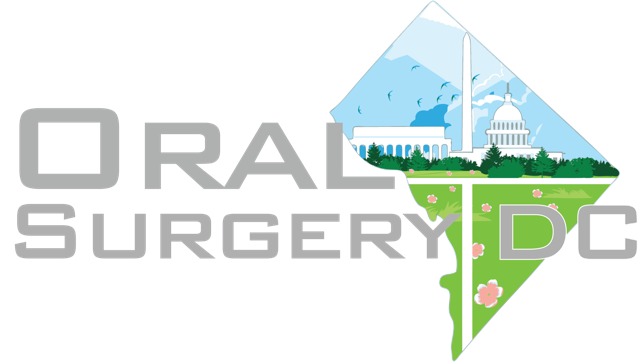 In recent years, the focus of gum disease treatment has expanded beyond reducing the pockets and removing the bacteria to include regenerative procedures. For instance, lasers, membranes, bone grafts, or proteins that stimulate tissue growth can be used to help regenerate bone and tissue to combat the gum disease. Bad breath happens to nearly all of us at some time. It’s embarrassing and can impact your work, social and intimate life. Luckily, bad breath can often be prevented or stopped with some basic, natural care and treatments. A variety of issues can cause bad breath, which is medically known as halitosis. Poor dental hygiene can promote odor-causing bacteria to build up in your mouth. Certain foods and lifestyle habits, such as smoking, can also impact your breath. Bad breath may be a sign of other health conditions as well, like tonsillitis or gingivitis. If you have persistent bad breath, always check with your dentist or doctor to rule out anything more serious. Even if you’ve dealt with the underlying causes, there may still be days when your breath is just off. Or you simply want to freshen up your morning breath. Either way, read on to find out some natural ways to combat bad breath. You’ve heard it before, but it’s important to brush your teeth twice a day in order to fight bacteria and plaque. Also, floss once a day to remove food debris from in between your teeth. If you don’t like commercial toothpastes, there are many excellent natural toothpaste options. Care2 has a recipe for homemade toothpaste. Consider adding activated charcoal to your brushing routine as well. Oil pulling has also been shown to improve oral health and reduce smelly bacteria, as well as scraping your tongue each morning. And if you have a mouth guard or dentures, make sure you regularly disinfect them. Bad breath can be a sign of poor digestion, so what’s good for your gut is good for your breath. Eating foods that are rich in probiotics is an excellent way to boost your beneficial bacteria, which will out-compete any unwanted bacteria. You can also check out these other suggestions on how to supercharge your digestion. Rinsing with a baking soda solution is shown to effectively kill mouth bacteria. Mix one teaspoon of baking soda in a cup of water and swish some in your mouth for at least 30 seconds. You can also add a couple drops of essential oil to the mix for extra anti-bacterial action, such as peppermint, tea tree or clove oil. Chewing on fresh herbs will give you a quick breath pick-me-up. 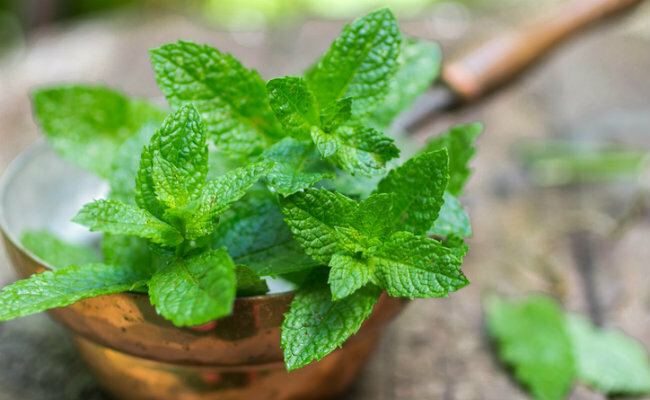 Mint, thyme, basil, oregano, parsley and cilantro are all well-known bacteria fighters that will also leave a delicious aftertaste behind. Brewing them into a tea is another good option. Aromatic spices like fennel, cloves, cardamom, cinnamon, ginger or anise provide a tasty way to counteract any unpleasant smell on your breath. You can chew on whole seeds when possible or steep some spices to make a tea. Enjoy the tea as a hot drink or use it cooled as a mouthwash. Bad breath can be an unfortunate side-effect of low-carb diets. When your body breaks down fats instead of carbohydrates for energy, it creates foul-smelling ketones. Production of ketones is the body’s reaction to starvation. And that’s one reason why they smell bad, because it’s a sign something is wrong. It’s always recommended to avoid refined carbohydrates, like white bread and potato chips. But make sure you eat enough healthy carbohydrates to properly fuel your body, including fruits, vegetables, whole grains and legumes. You naturally produce about 1 liter of saliva every day. Saliva contains enzymes that break down any lingering food particles in your mouth, keeping bacteria at bay. Low saliva production can lead to nasty breath as the bacteria counts in your mouth rise. If your mouth feels dry, reach for some water. Also give your mouth a quick swish for extra cleaning action. Other effective breath-freshening drinks are cow’s milk and green tea. The fat in milk is able to neutralize odor-causing compounds from certain foods, such as the sulphur in garlic. And a 2011 study showed that green tea can reduce mouth bacteria and prevent bad breath and plaque build-up. But, not all drinks are created equal. Coffee and alcohol should be avoided as they both dry out your mouth and promote bad breath. A diet rich in vitamins and minerals helps your overall health, including your digestive health. And when your body is in good health, you’re far less likely to develop bad breath. Fruits and vegetables are the best natural source of vitamins and minerals, so make sure you get your recommended 5 to 9 servings per day. Vitamin C is particularly effective at curbing bad breath because it’s known to prevent gingivitis and gum disease, which can be major causes of halitosis. Reach for peppers, kale, broccoli, strawberries, cauliflower, pineapple, kiwi and citrus fruits as these are all especially high in vitamin C. Apples and lettuce have also been shown to be effective at stopping garlic breath. If you want to prevent bad breath in the first place, avoid foods known to foul your breath, such as onions, garlic, meats, cheese and sugary foods. 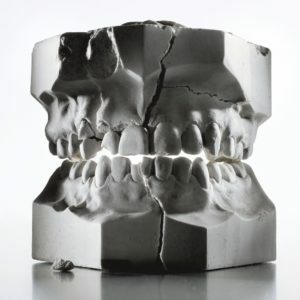 3DISC has announced a new 3D scanner designed for dentists to make digital impressions. 3DISC, a provider of digital X-ray and 3D imaging technology for dental clinics, has announced the upcoming launch of Heron™ IOS, a new intraoral 3D scanner designed for dentists to make digital impressions. The hand-held scanner is challenging the market with its simplicity and ease of use. Comprising a small, lightweight hand and mouthpiece, it is not only a leader in ergonomics but also challenges existing market prices by offering highly competitive pricing without compromising its high quality. 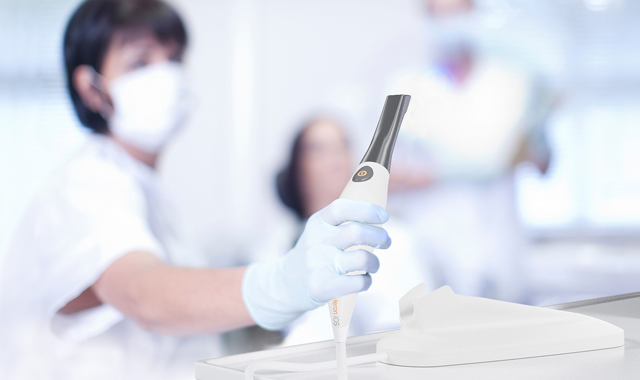 “In the development of Heron™ IOS – our focus has been to bring a scanner to market that easily fits into the modern dental practice and workflows. Sleek and small, lightweight, ergonomic design in a solution that delivers great depth perception, color recognition, and speed. We understand that, first and foremost, the unit had to be precise in order to create digital impressions that the dentist can rely on,” says 3DISC CEO Sigrid Smitt Goldman. Productivity – With precision, ease of use and openness comes productivity. 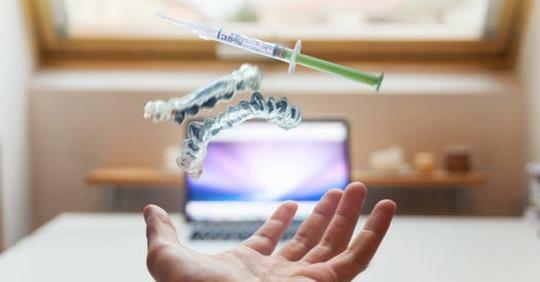 It facilitates automation in the dentist’s workflow, as well as great communication options both between the dentist and the lab and between the dentist and patient. A perfect impression makes a perfect fit. “There is a high-end segment in the industry for fully featured, advanced products and technology, where you naturally pay for innovation, as well as for the premium brands – the Ferraris of intraoral scanners. However, we recognize that dentists and clinics that primarily perform the most common restorations and a limited amount of impressions per year have different needs. With them in mind, we have created a scanner that covers all common features and restorations. Heron™IOS takes its own spot in the middle segment of the market – the “Volkswagen” of scanners – as the sensible and smart choice,” says Thomas Weldingh, executive VP of sales and marketing. The solution – Heron™ IOS is a digital impression taking the smart and cost-efficient way. The scanner is an optical impression system that creates digital 3D models for dental restorations. It records the tooth morphology, analog impressions or gypsum models for use in CAD/CAM for dental restorative prosthetic devices. A ‘cradle’ holds the scanner when not in use, and each unit comes with order management software for PCs, as well as lab integration with Exocad DentalCAD. The scanner software is set up to aid in the creation of restorations such as Crowns, Bridges, Inlays, Onlays, and Veneers. It also offers premium features such as color capture, shade-matching and a built-in heater to prevent fogging. 3DISC will debut this new scanner at the International Dental Show (IDS) 2017. With this world premiere, 3DISC takes an important step toward further solidifying their position in the dental industry by using its expertise of imaging technologies and creating new products that address the needs of the dental market. The new scanner from 3DISC will be available this year, with shipments expected to begin in Q4.